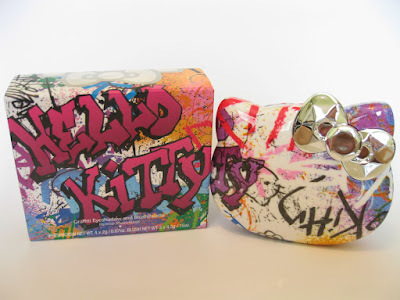 The Packaging: The Hello Kitty shaped compact is the answer to any Hello Kitty lover's dreams. 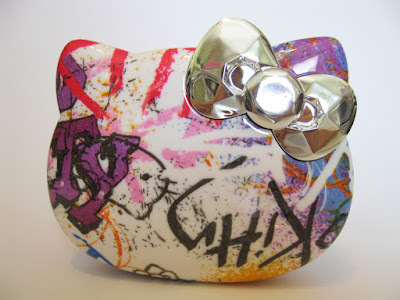 The charming palette features a silver (mirrored) bow and colorful "graffiti" along the surfaces of the compact. 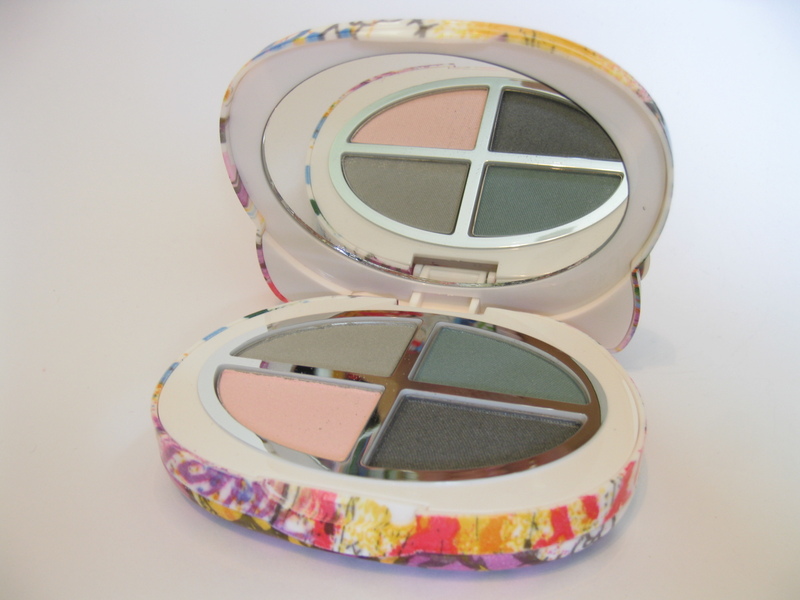 When the top tier is opened, a nicely sized mirror can be found above the four eyeshadows. 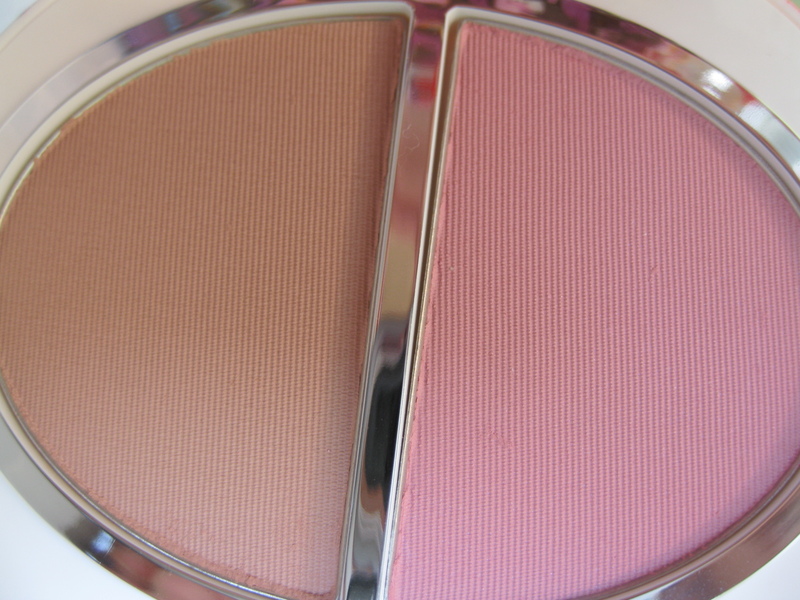 The second tier reveals the two blushes. I absolutely adore the packaging. I really appreciate that they kept the classic kitty shape down the bow. 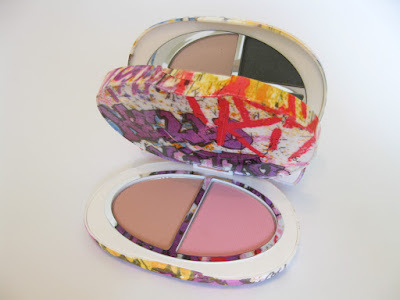 Also, while the compact is a tad bulky, it's bulky enough to be sturdy yet it's not so bulky that it's too large for travel. It's love. The Product: Aside from the cuteness factor, I wasn't crazy about the actual "product." 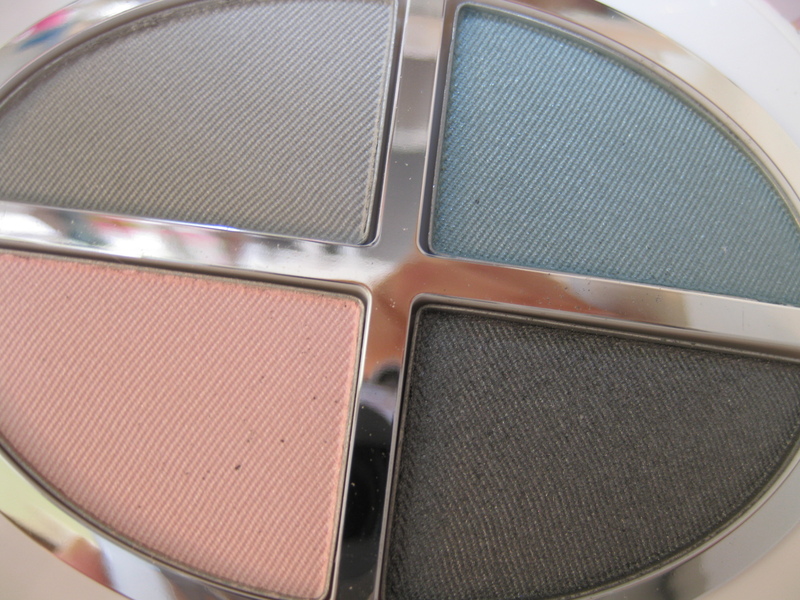 While the eyeshadows swatch decently, applied, they're not so great. They were "too soft" which made them powdery which then resulted in some fallout. There was decent color payoff but eyeshadow primer is a MUST. The blushes weren't any different and I had to swatch them several times to pick up the color. Overall: While this palette does have decent quality eyeshadows and blushes, I would never use it. 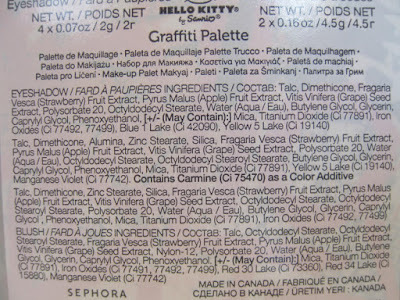 If this were my only palette, I could of course see myself getting some use out of it. However, with my collection, I would never reach for this when I have so many better options -it just wouldn't make sense. 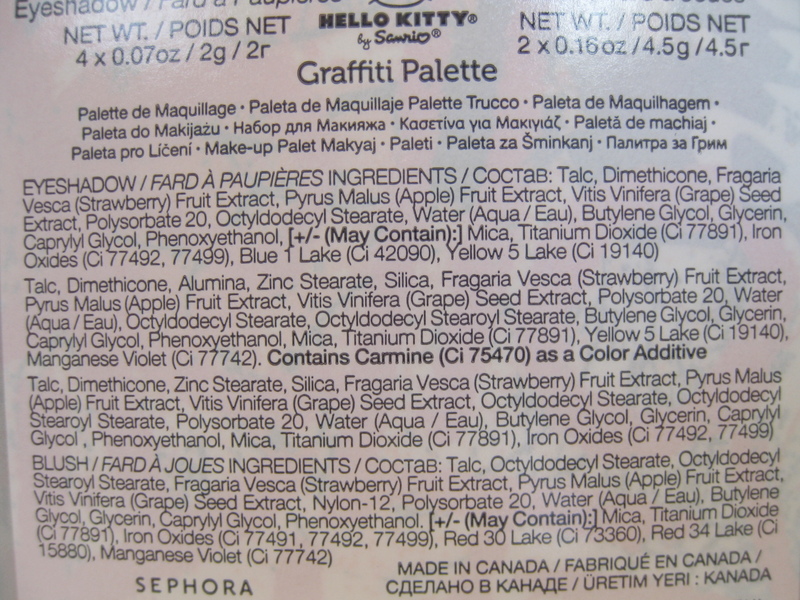 To me, this is more of a palette to get for "collecting purposes". 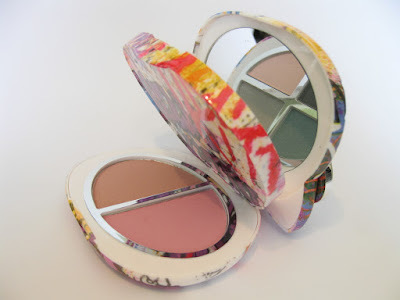 If you're looking for top quality eyeshadows and blushes, this is not for you. 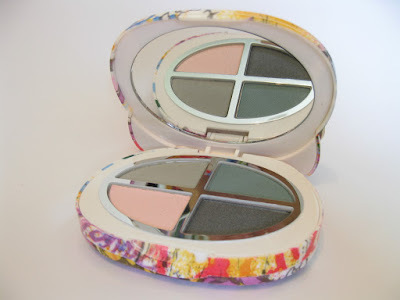 But if you're only fishing for something "adorable", this is the palette for you. That's too bad about the actual quality of the product- the packaging is ADORABLE.